James Levine will conduct again this season at Tanglewood. 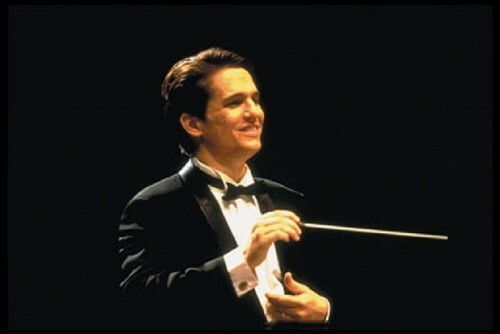 Keith Lockhart returns to conduct the Boston Pops Orchestra. 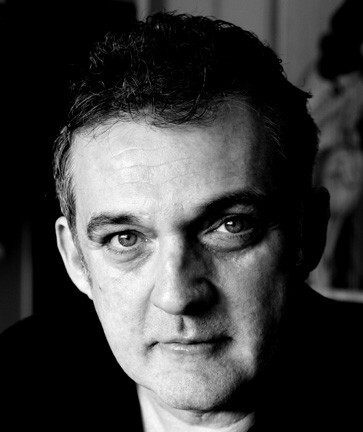 Mark Morris and his dance company are a perennial favorite. 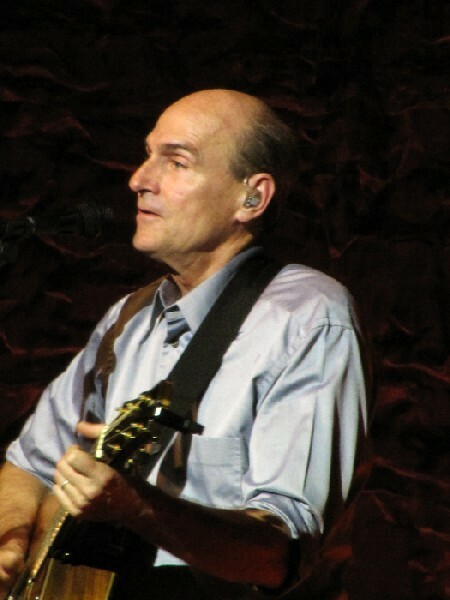 James Taylor will present four concerts this season. Yo Yo Ma will appear. Stephanie Blythe will perform in Ozawa Hall. The rock group Train is scheduled. The 2011 Tanglewood season offers a kaleidoscopic array of many of the world's great musicians performing an impressive range of music from classical to jazz, pop, and rock, with performances virtually each and every day of the summer, June 28-September 4, at the Boston Symphony Orchestra's acclaimed summer home located in the beautiful Berkshire Hills, between Lenox and Stockbridge, MA. From an all-Italian Opening Night Boston Symphony Orchestra program under the direction of James Levine on July 8, four appearances by living legend Yo-Yo Ma, a Boston Pops Cole Porter tribute led by Keith Lockhart, and the incredibly popular Film Night with John Williams, to the welcome returns of Itzhak Perlman and Christoph Eschenbach and special appearances by favorite artists Joshua Bell, Stephanie Blythe, Rafael Frühbeck de Burgos, Christoph von Dohnányi, Kurt Masur, and Peter Serkin to the closing BSO performance of Beethoven's Ninth Symphony under the direction of Lorin Maazel, Tanglewood 2011 brings classical music lovers and Boston Pops fans a wonderfully wide-ranging selection of artists and repertoire. Tanglewood 2011 also presents some of the best from the worlds of jazz, pop, and rock, including four extraordinary appearances by singer/song writer legend James Taylor and the first Tanglewood performance by Grammy award-winning Train, to the annual Garrison Keillor's A Prairie Home Companion program and the season-ending Labor Day Weekend Jazz Festival. From a world premiere performance by the Mark Morris Dance Group, two all-Ravel solo piano programs by Jean-Yves Thibaudet, a concert version of Handel's Orlando, and a recital by Stephanie Blythe to the debut of the Mark O'Connor String Quartet, and mid-season jazz appearances by Brad Mehldau and John Pizzarelli's Radio Deluxe, the Ozawa Hall schedule offers concertgoers a rich variety of performances in the intimate surroundings of this acclaimed concert setting. Nurturing and presenting the best of the future of classical music, Tanglewood 2011 brings the debut of 26 important new artists, a Festival of Contemporary Music program under the esteemed direction of Charles Wuorinen, and a wide variety of orchestral, operatic, and chamber music performances by the young musicians of the Tanglewood Music Center, the BSO's world-renowned music academy for young professional musicians. 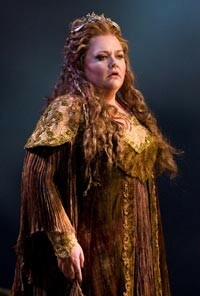 The Boston Symphony Orchestra's 2011 Tanglewood season opens with James Levine leading a concert of operatic and symphonic Italian music on Friday, July 8, featuring soprano Angela Meade, mezzo-soprano Kristine Jepson, tenor Joseph Calleja, and bass-baritone James Morris in excerpts from Bellini's Norma and Verdi's I lombardi, on a program with overtures by Verdi and Rossini, and Respighi's Pines of Rome. The following night, Saturday, July 9, James Levine leads the BSO in Berlioz's monumental Requiem, with Joseph Calleja on stage again as the tenor soloist. Both of these programs also feature the Tanglewood Festival Chorus, John Oliver, conductor. Mr. Levine returns to the Tanglewood podium on July 29 to lead the orchestra in Mahler's Symphony No. 5. Maestro Levine will also lead what promises to be an extraordinary Tanglewood Music Center concert performance of Debussy's Pelléas and Mélisande, with baritone José van Dam as Golaud, with some of the TMC's most gifted vocal alumni, including bass-baritone Evan Hughes as Arkel and baritone Elliot Madore as Pelléas, filling out the rest of the cast on July 25. The extraordinary violinist Joshua Bell performs Bruch's Scottish Fantasy for violin and orchestra on a BSO program with Jennifer Higdon's Loco and Tchaikovsky's Symphony No. 6, Pathétique, under the direction of Miguel Harth-Bedoya, Sunday, July 10. One of the BSO's most popular guest conductors, Kurt Masur, and soloist Lynn Harrell team up with the BSO to perform one of the greatest works of the cello repertoire, DvoÃ…Â™ák's Cello Concerto, Friday, July 15. In one of two Friday-evening concerts performed without intermission, Pablo Heras-Casado, in his BSO debut, leads an all-Baroque program featuring mezzo-soprano Susan Graham in arias of Handel and Gluck, Friday, July 22. Jaap van Zweden, in a highly anticipated conducting debut, leads a BSO program including Brahms's Violin Concerto with Arabella Steinbacher and Beethoven's Symphony No. 7, Saturday, July 23. Following a long absence from the BSO podium, the orchestra welcomes back Christoph Eschenbach on July 30 for a program of an all-Brahms program featuring Peter Serkin as soloist in the Piano Concerto No. 1, and on July 31 for a program including Haydn's Cello Concerto No. 1 in C, featuring Alisa Weilerstein, and Mahler's Symphony No. 1. Favorite BSO guest conductor Rafael Frühbeck de Burgos makes three Tanglewood appearances, beginning with a concert featuring acclaimed pianist Yuja Wang in her Tanglewood debut performing Rachmaninoff's Rhapsody on a Theme of Paganini, on a program with Beethoven's Symphony No. 8 and Strauss's Suite from Der Rosenkavalier, August 5. Guitarist extraordinaire Pepe Romero joins Mr. Frühbeck and the BSO for an all-Spanish program performing Rodrigo's popular Concierto de Aranjuez, with music by Bizet, Boccherini, Falla, Granados, and Giménez filling out the rest of the program on August 12, the second of two Friday-evening programs performed without intermission. For his third and final appearance of the 2011 season, Mr. Frühbeck leads the Tanglewood Music Center Orchestra in an all-Brahms program for the Leonard Bernstein Memorial Concert on August 14. Widely considered one of the greatest singers performing today, Stephanie Blythe will join Mr. Frühbeck and the orchestra to perform the Brahms Alto Rhapsody, for mezzo-soprano, male chorus, and orchestra, on a program that will also include the composer's Symphony No. 2. Esteemed conductor Christoph von Dohnányi and Yo-Yo Ma join the BSO for a performance of Schumann's Cello Concerto, on a program with two popular favorites: Prokofiev's Symphony No. 1, Classical, and Brahms's Symphony No. 1, August 13. The BSO debut of pianist Martin Helmchen, performing Schumann's Piano Concerto, highlights Mr. Dohnányi's second appearance with the orchestra on August 19—a program that will also include Schoenberg's Chamber Symphony No. 1 and Beethoven's Symphony No. 3, Eroica. In a welcome Tanglewood debut, Bernard Labadie leads the orchestra in an all-Mozart program featuring Benedetto Lupo in his BSO debut, performing the B-flat piano concerto, K.456, August 21. The final weekend of the BSO's 2011 Tanglewood season, August 26-28, will feature three special programs. In a first-ever event at Tanglewood, Bramwell Tovey will lead the orchestra in a concert performance of Gershwin's Porgy and Bess, with Alfred Walker and Marquita Lister performing the title roles, August 26. The final two program of the season welcome two preeminent artists back to the Tanglewood podium after a long absence. Itzhak Perlman returns as both conductor and soloist in an all-Beethoven concert on August 27, leading the orchestra in the First and Fifth Symphonies and performing the Romances Nos. 1 and 2 for violin and orchestra. Lorin Maazel will lead the traditional season-finale performance of Beethoven's Ninth Symphony on August 28. One of Tanglewood's most popular artists, James Taylor will return this summer to perform four concerts, opening with a special program in the more intimate setting of Ozawa Hall, June 30, where he will perform a selection of songs that have made him one of the most beloved artists of our day. On July 1, Mr. Taylor makes a special appearance with the Boston Pops Orchestra. On July 3 and 4, Tanglewood presents The Essential James Taylor, featuring Mr. Taylor with his extraordinary band of musicians for two special performances. Fireworks will follow the July 4 concert. All proceeds from the July 4 concert will benefit Tanglewood. In their first-ever Tanglewood appearance, the Grammy Award-winning band Train will perform songs from their latest release, Save Me, San Francisco, and more on August 8. Always a highlight of the Tanglewood season, the Boston Pops will be featured in two programs in addition to the July 1 concert with James Taylor. On July 17, Keith Lockhart leads the Boston Pops in a tribute to Cole Porter with two of Broadway's most acclaimed stars, Kelli O'Hara and Jason Danieley. One of the season's most popular traditions, the annual Film Night concert under the direction of John Williams, will feature Gil Shaham in a program of film music arranged for violin and orchestra, August 20. Mr. Williams' nostalgic evocation of early 20th-century America, The Reivers, with a special guest narrator, will also be featured. Mr. Williams returns to the Shed stage to share the podium with James Levine and Christoph Eschenbach for Tanglewood on Parade, a day filled with musical activities, culminating in an evening concert with the Boston Symphony, Boston Pops, and Tanglewood Music Center orchestras, followed by a fireworks display over the Stockbridge Bowl, August 2. Garrison Keillor brings his A Prairie Home Companion to Tanglewood on July 2, marking another favorite Tanglewood tradition. The Mark Morris Dance Group and Fellows of the Tanglewood Music Center will open the 2011 Tanglewood season with an Ozawa Hall program featuring the world premiere of a new work choreographed by Mark Morris to Stravinsky's Renard, June 28 and 29. 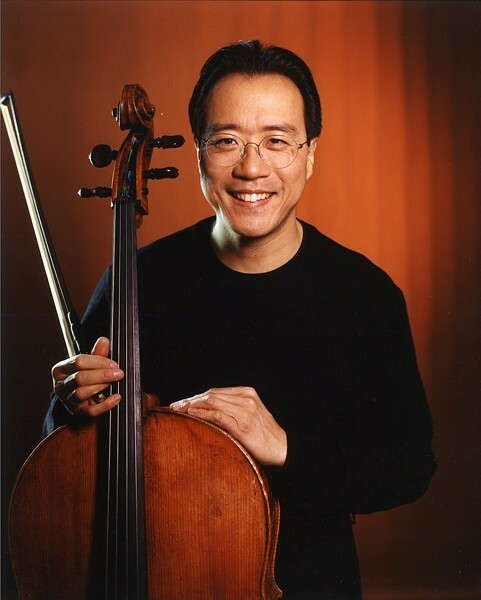 In his first of four Tanglwood appearances this season, Yo-Yo Ma joins the program to perform Bach's Suite No. 3 in C for solo cello, as the Mark Morris Dance Group performs one of their most popular works, Falling Down Stairs. On July 7, composer and virtuoso violinist Mark O'Connor performs an eclectic selection of his own music with the Mark O'Connor String Quartet, to include solos, duets, quartets, and excerpts from the acclaimed Appalachia Waltz Trio. A performance of Handel's Orlando will introduce several new artists to the Tanglewood audience, including conductor Nicholas McGegan and singers Susanna Rydén (Dorinda), Diana Moore (Medora), Clint van der Linde (Orlando), and Wolf Matthias Friedrich (Zoroastro), as well as a BSO favorite, Dominique Labelle (Angelica), August 16. Contemporary jazz pianist Brad Mehldau brings Tanglewood his unique vision, which has been described as embodying the essence of jazz exploration, classical romanticism, and pop allure, August 25. Radio Deluxe with John Pizzarelli and Jessica Molaskey returns to Ozawa Hall on August 21 for a special taping of the show. Arguably the greatest living interpreter of French piano repertoire, Jean-Yves Thibaudet will perform Ravel's complete works for piano over two evenings, July 20 and 21. Emanuel Ax, Yo-Yo Ma, and Anthony McGill perform Brahms' Trio in A minor for clarinet, cello, and piano, followed by a performance of Beethoven's Sonata No, 3 in A for cello and piano with Mr. Ax and Mr. Ma, two of Tanglewood's most beloved artists, August 14. Stephanie Blythe and Friendswill feature the acclaimed singer with pianist Alan Smith, violinist Andrew Jennings, cellist Norman Fischer, and the Tanglewood Festival Chorus, for a program that will include the world premiere of Mr. Smith's BSO-commissioned An Unknown Sphere, for mezzo-soprano and chorus, on a program with Mr. Smith's Vignettes: Covered Wagon Woman, for mezzo-soprano, violin, cello, and piano, plus a selection of early American popular songs and choruses, August 10. Two Ozawa Hall favorites, the Boston Symphony Chamber Players and the Emerson String Quartet are also among the highlights of the 2011 season. The Boston Symphony Chamber Players will be joined by guest pianist André Previn for a program of MartinÃ…Â¯, Milhaud, Mozart, and Mr. Previn's own Octet for Eleven, for winds, brass, and strings, on August 9. The Emerson String Quartet returns to Tanglewood for a program of the final quartets by Haydn, Bartók, and Schubert on July 12. The 2011 Tanglewood season will see an unprecedented number of artists making their BSO and/or Tanglewood debuts. Among the 26 artists making their debut are conductors Lionel Bringuier (music of Smetana, Tchaikovsky, and Mozart Piano Concerto No. 22 with Emanuel Ax, 8/7), Jaap van Zweden (music of Stucky and Beethoven, 7/23), Pablo Heras-Casado (an all-Baroque program featuring Susan Graham in arias by Handel and Gluck, 7/22), and Bramwell Tovey (concert performance of Porgy and Bess, 8/26), as well as newly appointed BSO Assistant Conductor Sean Newhouse (music of Jalbert, Rachmaninoff, and Mendelssohn's Violin Concerto with Sarah Chang, 8/6). Sopranos Angela Meade (Opening Night, 7/8) and Marquita Lister (Bess, Porgy and Bess, 8/26); mezzo-soprano Margaret Gawrysiak (Beethoven 9, 8/28); and tenor Joseph Calleja (Opening Night, 7/8; 7/9); along with pianists Benedetto Lupo (Mozart Piano Concerto No. 18, 8/21) and Martin Helmchen (Schumann Piano Concerto, 8/19) will also make their BSO debuts during the 2011 Tanglewood season. Artists and ensembles making their Tanglewood debuts in Ozawa Hall this summer include the Mark O'Connor String Quartet (7/7), clarinetist Anthony McGill (joining Yo-Yo Ma and Emanuel Ax for the Brahms Trio in A minor for clarinet, cello, and piano, 8/14), and pianist Saleem Abboud Ashkar (joining violinist Nikolaj Znaider in a recital of music by Beethoven, Schumann, and Franck, 7/14). The performance of Handel's Orlando, 8/16, will mark the Tanglewood debut of the Philharmonia Baroque Orchestra and several of the participating guest artists, including Nicholas McGegan (conductor), Clint van der Linde (Orlando), Wolf Matthias Friedrich (Zoroastro), Diana Moore (Medoro), and Susanne Rydén (Dorinda). A popular BSO guest artist, soprano Dominique Labelle, will join this cast of Tanglewood newcomers to perform the role of Angelica. Artists who have appeared with the BSO in Boston at Symphony Hall but are making their Tanglewood debuts with the orchestra this summer include conductor Bernard Labadie (all-Mozart program, 8/21); guitarist Pepe Romero (music of Rodrigo, 8/12), violinist Nikolaj Znaider (Sibelius Violin Concerto, 7/16), pianist Yuja Wang (Rachmaninoff Rhapsody on a Theme of Paganini, 8/5), and bass-baritone Eric Owens (Beethoven Symphony No. 9, 8/28). With a wide variety of decorated performers, ranging from up-and-coming artists to some of the elder statesmen of the musical form, the Tanglewood Jazz Fest will return to its full three-day format in the summer of 2011. Between Friday, September 2 and Sunday, September 4 the performers will include five-time Grammy-nominated percussionist John Santos, who will headline with a Latin Jazz Tribute to Cachao, the Father of Mambo. Grammy nominated pianist Judy Carmichael will also grace the stage of Ozawa Hall with a live taping of her widely broadcast NPR program “Jazz Inspired.” Gunter Schuller and Jimmy Cobb, both NEA Jazz Masters, will perform as well, with Schuller conducting the great Mingus Orchestra, one of a handful of groups ordained to carry on the legacy of jazz king Charles Mingus. Grammy award-winning Angelique Kidjo, of Benin, West Africa, four-time Grammy award-winning jazz vocalist Dianne Reeves, and genre-defying gospel artist Lizz Wright, will close the festival with a performance called “Sing the Truth: Celebrating the History of Women Vocalists at Tanglewood”. The Tanglewood Music Center is the BSO's summer music academy, considered one of the world's preeminent training grounds for young professional musicians, founded in 1940 by Serge Koussevitzky, BSO Music Director from 1924-1949. The centerpiece of the 2011 Tanglewood Music Center Orchestra season will be a performance of Debussy's Pelléas et Mélissande, under the direction of James Levine, on July 25 with Bass-baritone José van Dam as Golaud. Some of the TMC's most gifted vocal alumni, including bass-baritone Evan Hughes as Arkel and baritone Elliot Madore as Pelléas, fill out the rest of the cast for the Debussy work. Tanglewood Music Center vocalists will also participate in an evening of three short operas by Milhaud, under the stage direction of Mark Morris, on July 10. For the Leonard Bernstein Memorial Concert on August 14 in the Shed, Rafael Frühbeck de Burgos will lead the Tanglewood Music Center Orchestra in an all-Brahms concert, featuring Stephanie Blythe in the Alto Rhapsody, on a program with the composer's Symphony No. 2. The Tanglewood Music Center Orchestra season will open on July 5 with a concert led by Miguel Harth-Bedoya, with subsequent performances being led by Stefan Asbury, July 11 and Kurt Masur, July 17. Fellows from the TMC Conducting Program will also conduct works on these programs. All Tanglewood Music Center performances take place in Ozawa Hall unless otherwise noted. The 2011 Festival of Contemporary Music (FCM), to take place over six programs presented August 3-7, will be directed by Pulitzer Prize-winning composer Charles Wuorinen. The Festival will include two world premiere performances: Mr. Wuorinen's It Happens Like This, a dramatic, semi-staged 35-minute cantata for four singers and 12 instrumentalists, set to six selections from James Tate's Return to the City of White Donkeys (2004), will open the festival on August 3, and will be conducted by James Levine; John Zorn's À Rebours, a title taken from the Huysmans book of the same name, performed by fellows of the TMC with guest soloist Fred Sherry and guest conductor and former Fellow Brad Lubman, will be performed on august 4; guest ensemble SIGNAL will also perform works by Ferneyhough and Picker on that program. This year's Festival will highlight the work of Japanese composer Jo Kondo and introduce Tanglewood audiences for the first time to works by the American composer George Flynn and Brazilian composer Felipe Lara, among others. The 2011 FCM programs will encompass a mix of early-, mid-, and late-career composers, and 16 of the 20 featured composers are American, including Milton Babbitt (August 7), Eve Beglarian (August 5), John Chowning (August 4), Jonathan Dawe (August 7), Jason Eckardt (August 4), David Felder (August 7), Richard Festinger (August 5), George Flynn (August 6), Lee Hyla (August 5), Andrew Norman (August 7), Wayne Peterson (August 5), and Tobias Picker (August 4). Works by British composer Brian Ferneyhough (August 4) and Belize-born British composer Errollyn Wallen (August 5) will also be included. In addition, several FCM programs will feature the composers as performers in their own works, including American composers David Fulmer, who will be the soloist in his own violin concerto (August 7), and Louis Karchin, who will conduct his Chamber Symphony (August 7). Except where otherwise noted, most Festival of Contemporary Music programs are performed by the Fellows of the Tanglewood Music Center. Mark Morris Dance Group makes its annual appearance in two highly anticipated concerts Tuesday, June 28 and Wednesday, June 29, collaborating with Yo-Yo Ma and the TMC Fellows. The program includes three Morris works: the world premiere of a new work commissioned by the Boston Symphony Orchestra set to Stravinsky's Renard; Frisson, set to Stravinsky's Symphonies of Wind Instruments; and Falling Down Stairs, set to Bach's Suite No. 3 in C for solo cello, BWV 1009. James Taylor, a beloved and annual guest, appears in four concerts June 30–July 4 that demonstrates his versatility as an artist. On Thursday, June 30 in Ozawa Hall, Mr. Taylor offers the music that has made him one of the most iconic artists of our day. Friday, July 1 brings James Taylor and the Boston Pops, a remarkable collaboration with “America's Orchestra,” and on Sunday, July 3 and Monday, July 4, Mr. Taylor returns to the Shed with his extraordinary band of musicians for two spectacular performances of The Essential James Taylor. Tanglewood's annual Independence Day fireworks display follows the July 4 concert. A Prairie Home Companion, with the inimitable Garrison Keillor and a colorful cast of friends from the shores of Lake Wobegon, has become a favorite Tanglewood tradition and once again broadcasts live from the Shed Saturday, July 2. The pre-season comes to an end Thursday, July 7 as the Mark O'Connor String Quartetmakes its Tanglewood debut performing Mr. O'Connor's own music, a fascinating blend of bluegrass, swing, and classical. On Tuesday and Wednesday, June 28 and 29, the Tanglewood Music Center Instrumental Fellows offer their annual String Quartet Marathon, a series of four 2-hour concerts in the Theater- Concert Hall dedicated to the wonderfully intimate chamber music genre. On Tuesday, July 5, the Tanglewood Music Center Orchestra opens their season with a concert led by Peruvian conductor Miguel Harth-Bedoya. Fellows of the Tanglewood Music Center will also conduct works on this program. Music Director James Levine and the Boston Symphony Orchestra are joined by soprano Angela Meade, mezzo-soprano Kristine Jepson, tenor Joseph Calleja, and bass James Morris to kick off officially the Tanglewood season Friday, July 8, with a gala concert featuring opera excerpts by Bellini, Verdi, and Rossini, as well as Respighi's resplendent Pines of Rome and Canzonas for brass by Gabrieli. Maestro Levine returns to the podium the following night to conduct the orchestra, tenor Joseph Calleja, and the Tanglewood Festival Chorus, John Oliver, conductor, in Berlioz's monumental Requiem. The BSO's first weekend wraps up Sunday, July 10 as violinist Joshua Bell and Peruvian guest conductor Miguel Harth-Bedoya join the orchestra for a program to include Bruch's Scottish Fantasy,for violin and orchestra. The opening week also includes two enticing evenings of chamber music in Ozawa Hall. On Tuesday, July 12, Emerson String Quartet presents a traditional program of music by composers with whom they are known for excellence: Haydn (Quartet No. 67 in F, Op. 77, No. 2), Bartók (Quartet No. 6), and Schubert (Quartet No. 15 in G, D. 887). Acclaimed virtuoso violinist Nikolaj Znaider and pianist Saleem Abboud Ashkar perform a recital of Beethoven, Schumann, and Franck sonatas, Thursday, July 14. Tanglewood Music Center vocalists will participate in an evening of three short operas by the 20-century French neoclassical composer Darius Milhaud, under the stage direction of Mark Morris, on July 10. On Monday, July 11, the Tanglewood Music Center Chamber Orchestra will perform a program led by conductor Stefan Asbury and Conducting Fellows of the TMC. Eminent German conductor Kurt Masur, a frequent guest of the BSO and at Tanglewood, returns Friday, July 15 to conduct DvoÃ…Â™ák's Cello Concerto, featuring soloist Lynn Harrell, and Schumann's Symphony No. 1, Spring. Music Director James Levine leads the orchestra Saturday, July 16 and is joined by Danish violinist Nikolaj Znaider (making his Tanglewood debut) for an all-Sibelius program featuring the soaring Violin Concerto, the gripping Symphony No. 5, the beloved tone poem Finlandia, and Valse triste. On Sunday, July 17, acclaimed Broadway stars Kelli O'Hara and Jason Danieley join conductor Keith Lockhart and the Boston Pops Orchestra for a program of Pops orchestral favorites and a tribute to the great Cole Porter. Outstanding French pianist Jean-Yves Thibaudet, one of the world's foremost interpreters of Ravel, offers an incredibly rare opportunity to hear the composer's complete music for solo piano between two Ozawa Hall concerts Wednesday, July 20 and Thursday, July 21. Highlights include Miroirs, Gaspard de la nuit, Jeux d'eau, Valses nobles et sentimentales, and Le Tombeau de Couperin. Ravel's piano music virtually defines the Impressionist period in which he composed, and is considered some of the finest keyboard writing of any era. On Sunday, July 17, Kurt Masur, along with TMC Conducting Fellows, will lead the Tanglewood Music Center Orchestra in a program including Dukas's The Sorcerer's Apprentice, Kodály's Háry János Suite, Strauss's Till Eulenspiegels Merry Pranks, and Schumann's rousing Symphony No. 2 in C, Op. 61. Young Spanish conductor Pablo Heras-Casado makes his BSO and Tanglewood debuts Friday, July 22 as he and the orchestra are joined by renowned mezzo-soprano Susan Graham for a program of all-baroque music including arias by Handel and Gluck, and orchestra works by Bach and Rameau. On Saturday, July 23, Dutch conductor Jaap van Zweden, currently Music Director of the Dallas Symphony Orchestra, also makes his BSO and Tanglewood debuts with a performance of Beethoven's Symphony No. 7, Brahms's Violin Concerto with soloist Arabella Steinbacher, and contemporary American composer and Pulitzer Prize winner Steven Stucky's Rhapsodies, a series of short and diverse episodes for orchestra. He's joined by violinist Arabella Steinbacher for Brahms's Violin Concerto. Outstanding pianist Jean-Yves Thibaudet again takes center stage Sunday, July 24, this time with the BSO and Maestro Levine, for an all-Ravel program featuring the Piano Concerto in G, the Piano Concerto in D for the left hand, Valses nobles et sentimentales, and Boléro. James Levine joins the Tanglewood Music Center Orchestra for a concert performance of Debussy's Pelléas et Mélisande, the centerpiece event of the TMCO's season, on July 25. Bass-baritone José van Dam as Golaud will be joined by some of the TMC's most talented alumni Vocal Fellows, including Elliot Madore as Pelléas and bass-baritone Evan Hughes as Arkel, filling out the cast for the Debussy work. The fourth week of Tanglewood 2011 gets underway on Friday, July 29, with the Serge and Olga Koussevitzky Memorial Concert, which features longtime Tanglewood presence and pianist Leon Fleisher, Maestro Levine, and the BSO in Mozart's Piano Concerto No. 12 in A, K.414, and Mahler's Symphony No. 5. On Saturday and Sunday, July 30 and 31, National Symphony Orchestra Music Director Christoph Eschenbach conducts two BSO programs. On Saturday, July 30, he leads an all-Brahms program, including the Piano Concerto No. 1, featuring distinguished American pianist Peter Serkin, and Symphony No. 4. On Sunday, July 31, Maestro Eschenbach leads the BSO in Mahler's Symphony No. 1 on a program that also features young American cellist Alisa Weilerstein in Haydn's Cello Concerto No.1 in C Major. One of the festival's most beloved traditions, Tanglewood on Parade (Tuesday, August 2) is a chance to see all of the festival's orchestras perform in a single extended concert. Mr. Levine, Mr. Eschenbach, and John Williams share the podium for a program that will include Wagner's Prelude to Die Meistersinger von Nürnberg as well as the traditional TOP finale, Tchaikovsky's 1812 Overture. This lively evening features performances by the BSO, the TMCO, and the Boston Pops, culminating in a dazzling fireworks display. Week Four also marks the beginning of Tanglewood's annual Festival of Contemporary Music, which this year encompasses six concerts. Curated by the eminent American composer Charles Wuorinen, the FCM begins with a concert featuring the world premiere of his semi-staged cantata It Happens Like This, a Tanglewood commission to be conducted by James Levine. Spanish conductor and frequent Tanglewood guest conductor Rafael Frühbeck de Burgos takes the podium on Friday, August 5 for a BSO program featuring the young Chinese pianist Yuja Wang, who makes her Tanglewood debut in Rachmaninoff's perennial audience favorite Rhapsody on a Theme of Paganini. Also on the program are Beethoven's boisterous Symphony No. 8 and Strauss's Suite from Der Rosenkavalier. On Saturday, August 6, renowned violinist Sarah Chang joins the orchestra for Mendelssohn's sparkling Violin Concerto on a program that also includes Rachmaninoff's Symphony No. 2 and American composer Pierre Jalbert's Music of air and fire. Sean Newhouse, one of the BSO's new Assistant Conductors, will lead the orchestra for the first time. The BSO's fifth weekend comes to a close Sunday, August 7 with one of the world's foremost concert pianists, Emanuel Ax, performing Mozart's Piano Concerto No. 22 in E-flat, K.482. Lionel Bringuier, an Assistant Conductor of the Los Angeles Philharmonic Orchestra making his BSO and Tanglewood debuts, also will conduct Tchaikovsky's Symphony No. 5 and Smetana's The Moldau, the composer's most famous music from his iconic work of musical nationalism, Má Vlast. Also on August 7 is the orchestral culmination of the Festival of Contemporary Music with a program that features Felipe Lara's Onda, Jo Kondo's In Summer, David Felder's Inner Sky, and Andrew Norman's drip blip sparkle spin glint glide glow float flop chop pop shatter splash. 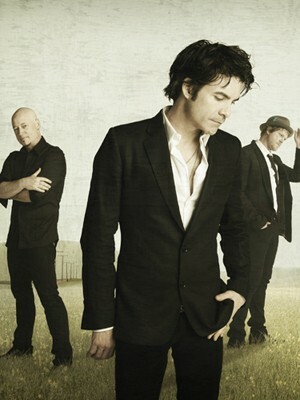 Monday, August 8 brings another rock concert to Tanglewood as Train, known around the world for hits such as “Hey, Soul Sister,” take the stage in the Shed. On Tuesday, August 9, the Boston Symphony Chamber Players reprise the majority of their October 17 Boston concert and are joined by composer-conductor-pianist André Previn in music that includes Previn's effervescent new Octet for Eleven, for winds, brass, and strings, a work commissioned by the BSO. Opera superstar mezzo-soprano Stephanie Blythe visits Ozawa Hall Wednesday, August 10, joining TMC faculty members Alan Smith, violinist Andrew Jennings, cellist Norman Fischer, as well as the Tanglewood Festival Chorus, John Oliver, conductor, for a concert of American music including Copland's In the Beginning, Mr. Smith's Vignettes: Covered Wagon Woman and An Unknown Sphere (a world premiere and BSO commission), and selected African American spirituals. Maestro Rafael Frühbeck de Burgos returns for the second week in a row to lead the BSO in a Friday, August 12, program dedicated to Spanish and Spanish-inspired music, which Mr. Frühbeck has spent his career tirelessly and convincingly advocating. World-renowned guitar virtuoso and fellow Spaniard Pepe Romero joins the maestro and makes his Tanglewood debut in this concert, highlights of which include Bizet's Preludes from Carmen, Rodrigo's Concierto de Aranjuez with Mr. Romero as soloist, and Falla's Interlude and First Dance from La vida breve. Two of classical music's most acclaimed artists join the BSO August 13 as the inimitable cellist Yo-Yo Ma and German-Hungarian conductor Christoph von Dohnányi present a program of Prokofiev's Symphony No. 1, Classical, Schumann's Cello Concerto, and Brahms's monumental Symphony No. 1. The following afternoon, the Tanglewood Music Center Orchestra pays futher homage to Brahms with a concert dedicated entirely to his music, including Nänie and Schicksalslied for chorus and orchestra; the Alto Rhapsody¸ for mezzo-soprano, male chorus, and orchestra; and the pastoral and warmhearted Symphony No. 2. The young orchestra is conducted by Mr. Frühbeck and joined by Stephanie Blythe and the Tanglewood Festival Chorus. On Sunday, August 14, Mr. Ma and pianist Emanuel Ax renew their longstanding and widely celebrated musical partnership with a recital to include music from two of the all-time masterworks of chamber music: Beethoven's Sonata No. 3 in A for cello and piano, Op. 69, and Brahms's Trio in A minor for clarinet, cello, and piano, Op. 114. Mr. Ma and Mr. Ax are joined by the principal clarinetist of the Metropolitan Opera, Anthony McGill, who makes his Tanglewood debut. Tuesday, August 16 marks one of the highlights of the 2011 Tanglewood season as the California-based Philharmonia Baroque Orchestra makes its Tanglewood debut in dramatic fashion with a complete performance of Handel's opera seria Orlando under Music Director Nicholas McGegan. Inhabiting the roles of this Baroque masterpiece are soprano Dominique Labelle, soprano Susanne Rydén (Tanglewood debut), mezzo-soprano Diana Moore (Tanglewood debut), countertenor Clint van der Linde (Tanglewood debut), and baritone Wolf Matthias Friedrich (Tanglewood debut). Handel's opera brings together far-ranging episodes of one of the great heroes of Western literature, based on the 16th-century Ariosto epic Orlando Furioso. Conductor Christoph von Dohnányi once again leads the BSO Friday, August 19 in a thoughtfully conceived, vibrant program focusing on core composers of the Austro-German tradition. Anchoring the concert is Beethoven's revolutionary Symphony No. 3, Eroica, a piece that never seems to age no matter how much it is performed. Pianist Martin Helmchen makes his BSO and Tanglewood debuts as soloist in Schumann's Piano Concerto, and the program opens with Schoenberg's Chamber Symphony No. 1. One of the season's most enduring and popular traditions, the annual Film Night concert Saturday, August 20 celebrates the music of the movies. This summer, John Williams and the Boston Pops are joined by frequent collaborator Gil Shaham in a program featuring film music arranged for violin and orchestra. Also on the program will be Mr. Williams' nostalgic evocation of early 20th-century America, The Reivers, with a special guest narrator. Bernard Labadie, renowned Music Director of the Canadian Baroque and Classical specialist orchestra Les Violons du Roy, makes his Tanglewood debut Sunday, August 21 as he brings his expertise to the BSO in an all-Mozart program including the Symphony No. 41, Jupiter, Piano Concerto No. 18, K.456, and the Chaconne from Idomeneo. Pianist Benedetto Lupo makes his BSO and Tanglewood debuts as soloist for the concerto. On Thursday, August 25, one of today's most accomplished genre-bending artists takes the Ozawa Hall stage for a solo recital. A lyrical and intimate voice of contemporary jazz piano, Brad Mehldau has forged a unique path, which embodies the essence of jazz exploration, classical romanticism, and pop allure. As a bandleader and in diverse collaborations with artists such as Pat Metheny, Renée Fleming, and Joshua Redman, Mr. Mehldau continues to garner awards and admiration from jazz purists and open-eared musical omnivores. On August 21, Radio Deluxe with John Pizzarelli and Jessica Molaskey returns to Ozawa Hall for a taped broadcast of the show. The BSO begins its final weekend of the 2011 Tanglewood season on Friday, August 26, with George Gershwin's great American masterpiece, the blues- and-jazz-inflected opera Porgy and Bess, which examines African American life in the South during the 1920s. English conductor Bramwell Tovey makes his BSO and Tanglewood debuts leading the performance, which also features the Tanglewood Festival Chorus and a cast to include soprano Marquita Lister (BSO and Tanglewood debut), soprano Nicole Cabell, and bass-baritone Alfred Walker. The great Itzhak Perlman joins the orchestra Saturday, August 27 for an all-Beethoven program that demonstrates his talents as both violinist and conductor. 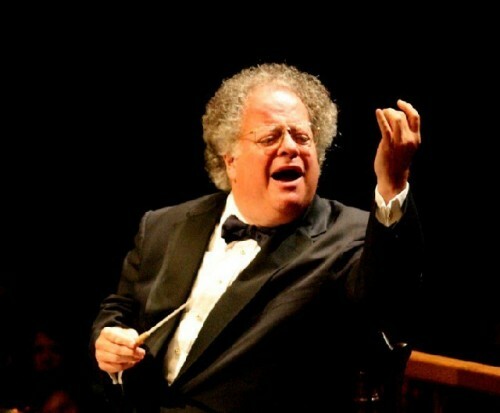 Mr. Perlman will act as soloist and leader for the Romances Nos. 1 and 2 for violin and orchestra, then trade his fiddle for a baton and conduct the composer's First and Fifth symphonies. On Sunday, August 28, the Tanglewood season comes to a close with it's traditional performance of Beethoven's transcendent Symphony No. 9. Eminent maestro Lorin Maazel presides over this year's final evening and is joined by the Tanglewood Festival Chorus and soloists to include soprano Joyce El-Khoury (BSO and Tanglewood debut), mezzo-soprano Margaret Gawrysiak (BSO and Tanglewood debut), tenor Garrett Sorenson, and bass-baritone Eric Owens (Tanglewood debut). Five-time Grammy-nominated percussionist John Santos, and Uruguayan violinist Federico Britos, a career symphony concertmaster as well as jazz musician, will headline this year's Jazz Fest on Saturday, September 3, with a Latin Jazz Tribute to Cachao, the Father of Mambo, as featured in the bilingual “American Masters”/PBS documentary “Cachao: Uno Mas.” Santos and Britos each bring their Sextet along for the 8 p.m. performance. At 2 p.m. on Saturday, Grammy nominated stride pianist Judy Carmichael will bring a live taping of her NPR program “Jazz Inspired” to Ozawa Hall, with a special guest to be announced. Michael Kaeshammer, a boyish boogie-woogier from Canada, will kick-start the Jazz Fest on Friday, September 2 with the help of his quintet, and a performance of the Robin McKelle Quartet. A concert on Sunday, September 4 at 2 p.m. will feature NEA Jazz Masters Gunther Schuller and Jimmy Cobb. Schuller, a long-time Tanglewood presence, as well as a recipient of a Pulitzer Prize and MacArthur Fellowship, will conduct the Mingus Orchestra, one of several orchestras ordained to carry on the legacy of jazz great Charles Mingus. Drummer Jimmy Cobb, an elder statesman of the art, will perform with the Coast to Coast Sextet. Grammy award-winning Angelique Kidjo, of Benin, West Africa, four-time Grammy award-winning jazz vocalist Dianne Reeves and genre-defying gospel artist Lizz Wright, will close the Jazz Fest with Sing the Truth: Celebrating the History of Women Vocalists at Tanglewood, on Sunday at 8 p.m. Lawn Pass Books, priced at $180 (after June 24 the price is $190), include 11 tickets per book, providing flexibility and savings. Lawn Pass book tickets are valid for all regular and specially priced BSO concerts in the Koussevitzky Music Shed and Ozawa Hall. Tickets are not valid for Popular Artists, A Prairie Home Companion, James Taylor concerts, or Jazz Weekend. All ticket prices include a $1 Tanglewood grounds maintenance fee. Beginning with the 2011 Tanglewood season, Shed tickets to Saturday morning Open Rehearsals will now be seat-specific ticketed (no longer general admission), with tickets priced at $20 and $30; general admission lawn tickets are priced at $10. The BSO Saturday Morning Open Rehearsal series is also being made available on a subscription basis, with a 15% discount offered to patrons purchasing four or more Shed tickets to the series. Ticket prices for the BSO's Opening Night Concert on July 8—an all-Italian program conducted by James Levine, range from $20 to $85, with benefactor tickets, including a Gala Opening Night Dinner, among other benefits, priced at $500, $1,000, and $2,500. Tanglewood is pleased to offer free lawn tickets for children and young people age 17 and younger and a 50% discount on Friday-evening lawn tickets to college and graduate students. Up to four free children's lawn tickets are available per parent/legal guardian per concert at the Tanglewood Box Office on the day of the concert. All patrons, regardless of age, must have a ticket. Please note that the free lawn ticket policy does not apply to organized groups. For July 3 & 4 and other Popular Artists concerts, free lawn tickets are only available for children under age 2. Tanglewood brochures with complete programs and information on how to order tickets will be available in mid-February by calling 617-638-9467. For further information, please call the Boston Symphony Orchestra at 617-266-1492 or visit www.tanglewood.org. For Berkshire tourist information and reservations, contact the Berkshire Visitors Bureau at 800-237-5747 or www.berkshires.org. Tanglewood provides special programs for kids, such as the popular Kids' Corner, a musical and craft-related project supervised and supported by BSO staff on weekends, and the Watch and Play program, a series of lively discussions about instruments, concert themes, and/or musical concepts on Sundays. In addition, through its Tanglewood for Kids program, Tanglewood offers free lawn tickets, up to four per family, to all children and young adults age 17 and under. Tanglewood will present its annual Family Concert on August 20. Tickets for the Family Concert are free to youth age 18 and under and $10 for each adult. The annual Berkshire Night, a concert free to greater Berkshire area residents, concert will be announced at a later date. Tanglewood offers a free pre-concert panel discussion series called “This Week at Tanglewood” on Fridays at 7:15 p.m. in the Koussevitzky Shed, and free hour-long walking tours of Tanglewood's grounds and performance spaces daily (email bsav@bso.org or call 617-638-9391 for dates and times). Friday-evening Prelude Concerts, at 6:30 p.m. in Ozawa Hall, feature BSO musicians in small ensemble and chamber music settings. Saturday-evening Prelude Concerts, July 9-August 13, at 6:30 p.m. in Ozawa Hall, feature Tanglewood Music Center fellows in performance. Admission to Prelude Concerts is free to all BSO concert ticket holders. “Talks and Walks,” a series of informal conversations presented by guest artists and members of the BSO family in the Tent Club on Thursday afternoons, begins with a talk at 1 p.m. and a guided tour of the grounds at 1:45 p.m. To purchase tickets, available at $17 each or $102 for a full series, call 617-638-9391. Tanglewood offers Lawn Chair Rentals, for a fee of $4, available at the Grille at the Main Gate for Shed concerts, and at the Bernstein Gate for Ozawa Hall performances. Pre-ordered meals are available in the Tanglewood Grille and the Tanglewood Café. Meals may be ordered online at www.tanglewood.org or by calling (413) 637-5152. Tanglewood also offers large video screens for the pleasure of lawn patrons on Friday and Saturday nights, and, for the convenience of patrons, a Bank of America ATM is located outside the main gate. Bus Service to the Lenox area is offered by Peter Pan and Greyhound Bus Lines. For fare and scheduling information, call 800-343-9999 or 800 231-2222. Special excursions are offered by the Berkshire Tour Company, 781-438-8620; Greylock Discovery Tours, 413-637-4442; Animactions Unlimited, 413-448-2115; and Gateway Travel Service, 781-729-6900. Limited bus service is offered by AAA Connecticut/Connecticut Motor Club, 203-928-6556 and K&L Tours, 617-267-1905. Information about lodging, dining, and other Berkshire-area activities is available by contacting the Berkshire Visitors Bureau at 413-743-4500. The Boston Symphony Orchestra's extensive website, www.bso.org, is the largest and most-visited orchestral website in the country, receiving more than 7.3 million visitors annually and generating over $60 million in revenue since its launch in 1996. BSO Concert Preview Podcasts, focusing on each of the programs of the BSO's 2010-2011 season, are available through www.bso.org, Facebook, and iTunes, and the BSO Video Podcasts are available through www.bso.org, iTunes, Facebook, and YouTube. The Boston Symphony's online Media Center consolidates the orchestra's numerous new media initiatives in one location, available by clicking on Media Center at bso.org. Modeled after the Symphony's iPhone app, released in July 2010, the Media Center is available free of charge and accessible from any computer via a web browser. The Media Center makes video content, interactive features, audio and written program notes, and digital music readily available over the internet. Through the free Media Center, symphony fans can view the BSO's award-winning Classical Companion, listen in and watch the BSO and Boston Pops Emmy-nominated podcasts, and view select WebTV episodes, including a new program on the Tanglewood Music Center, which explores the rich history and educational activities of the Tanglewood Music Center (TMC). Designed for students, prospective TMC Fellows, and the general public, “Inside the TMC” features highlights from last summer's TMC 70th anniversary celebration, video clips of TMC master classes with BSO musicians and guest artists, and rare archival footage of the TMC throughout its history. This new Web TV program will also feature TMC rehearsal and performance footage of Wagner's Die Meistersinger von Nürnberg,led by James Levine. The Media Center also offers excerpts from all the albums released on the BSO's own label, BSO Classics, and links to buy music directly through bso.org. Albums available include the BSO's and James Levine's most recent recordings ofMozart's symphonies 14, 18, 20, 39, and 41; the BSO's Grammy-winning recording of Ravel's complete Daphnis and Chloé, Brahms's A German Requiem; the Boston Pops' The Dream Lives On: A Portrait of the Kennedy Brothers featuring Robert De Niro, Morgan Freeman, and Ed Harris, and The Red Sox Album; as well as the Tanglewood Festival Chorus's 40th Anniversary CD. Concerts from the Shed are broadcast each Friday and Saturday evening and Sunday afternoon in Boston on WCRB 99.5 FM and WGBH's HD2 all classical channel, in Albany on WAMC 90.3 FM and its satellite network, and in Connecticut on WMNR 88.1 FM. In addition, Sunday-afternoon concerts are broadcast on WFCR 88.5 in Amherst. Streaming audio of the broadcasts can also be accessed via the stations' websites at www.wgbh.org/995; www.wamc.org; www.wmnr.org; and www.wfcr.org. As a leading supporter of arts and culture in the United States and internationally, Bank of America is proud to serve as the exclusive season sponsor of Tanglewood. Through a wide variety of programs, Bank of America works to strengthen artistic institutions and provide greater access to treasured works of art for both its customers and those who might not otherwise experience them. Each year the company provides millions of dollars in grants to a wide range of arts organizations, supporting education and access programs and enabling institutions to expand their scope, and underwrites national and local performances, arts programs, and exhibitions. Through its Art in our Communities™ program, Bank of America has converted its corporate art collection into a unique community resource from which museums and nonprofit galleries may borrow complete or customized exhibitions. By providing these exhibitions, and the support required to host them, the program helps sustain community engagement and generate vital revenue for the museums, creating stability in local communities. Commonwealth Worldwide Chauffeured Transportation enters its ninth year as the official chauffeured transportation of the BSO. Steinway & Sons Pianos selected exclusively at Tanglewood. This Week at Tanglewood is sponsored by Harvard University Extension School.